Albert started golf at the age of 9 at his beloved Hopeman Golf Club (He was privileged to be offered Honorary Membership in the club`s centenary year of 2009). During his amateur years he represented the North District at boys, youth and senior level and was twice winner of the Club Championship at Hopeman Golf Club. Albert turned Professional in 1981 and served his apprenticeship at Gleddoch Golf & Country Club under the guidance of Head Professional Keith Campbell. During his years at Gleddoch his best playing performance was a 4th place finish in the Scottish Assistants Championship. Having achieved PGA Qualified status in early 1984, he move south of the border to Sunningdale Golf Club, where he would spend 4 years as an Assistant Professional to Keith Maxwell. During his stay at Sunningdale, Albert won the Surrey Open at Walton Heath in 1985. In 1988 Albert was appointed Head Professional at Calcot Park Golf Club in Reading where he served for almost 10 years before moving to Saunton, where he is now in his 21st year as Head Professional. Over the years he has always strived to put a team of Professionals together that cater for the many golfing requirements of the Saunton membership. The appointments of Andy Knight as Technical Director, and Tiffany MacKenzie as Director of Coaching, further demonstrates this desire for excellence. Although his primary goal since his appointment at Saunton has been to provide unrivalled levels of customer service for members and visitors alike, Albert has always had in place a work ethic to maintain his competitiveness on the golf course. 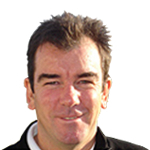 In 2004 he finished 5th in the British PGA Championship at Southport & Ainsdale with a 72 hole total of 273 (-15). Two years later he finished 7th in the same event at Princes Golf Club on 283 (-1). Sandwiched between these years, he lost in a play-off at Woodhall Spa to secure the final place in the GB&I PGA Cup team to play against the PGA of America. Senior Golf became available in 2011 and he qualified to compete in the British Seniors Open at Walton Heath in July of that year. Opening rounds of 69, 74 ensured that he would play 4 rounds in a Major Championship. He has made 4 visits to the Senior Tour Q-School in Portugal, finishing 21st in 2011 and 2013, and 44th in 2014. In May 2014 Albert finished Runner-Up in the British PGA Seniors Championship at Foxhills with a 3 round total of 217 (-1). In September of 2014 Albert was delighted to accept the invitation from the 2015 GB&I PGA Cup Captain Jon Bevan to be his Vice-Captain. In September 2015, at Corde Valle at California, the GB&I PGA Cup team won for the first time on American soil, defeating the PGA of America 13 ½ - 12 ½. Following this success Albert was appointed PGA Cup Captain for the 2017 Matches at Foxhills in Surrey. In May of 2017 Albert qualified for the British PGA Championship for a 21st time, equalling the record number of appearances in the Championship. September 2017 would produce the proudest moment of Albert`s Professional career, leading the GB&I PGA Cup team to a 16-10 victory against their American counterparts, a week that will always be cherished. 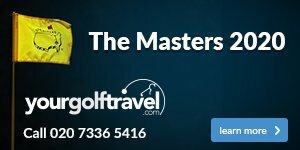 Other notable achievements on the golf course include having a playing Captain`s role for Foremost Golf when they defeated TGI at Gleneagles in 2014. Albert has also qualified for the final of the National PGA Pro-Am Championship on 3 occasions, 2013 at Geleneagles, 2016 at Vila Sol in Portugal and will return to Vila Sol in September 2018 for the National Final. Albert`s `Mission Statement` is to "Provide the members & visitors of Saunton with levels of service that are befitting the wonderful venue". To get in contact with Albert about a query of any kind, please click on the 'Contact Us' tab at the top of the page.